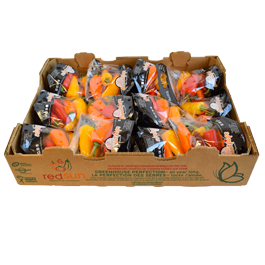 These mini peppers are an ideal snacking treat for adults and kids alike. To dip or not to dip will be the only question you’re challenged with, otherwise they’re a no-brainer! They not only look and taste great, they also offer a fun, convenient, resealable bag, perfect for packing and snacking at the park, the office, school or wherever your adventures take you!